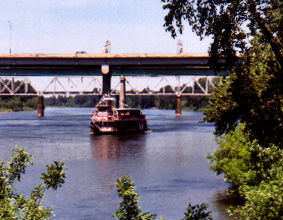 The Willamette Queen is 87 feet long, weighs 86 tons, and has a draft of 32 inches. 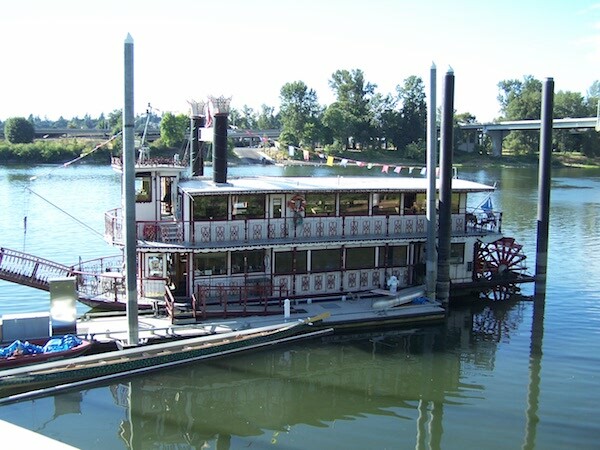 She was built in 1990 in Newport, Oregon, and now gives cruises on the Willamette River. You can find the boat in Riverfront Park, near downtown Salem. 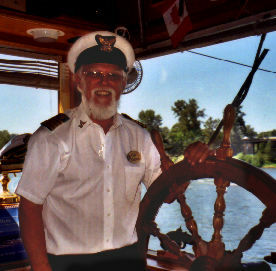 Captain Richard Chesbrough, master and owner, invites passengers into the pilot house to steer the boat. 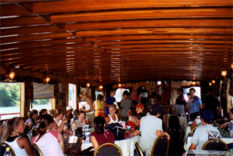 Twelve foot (diameter) twin paddlewheels power the boat. 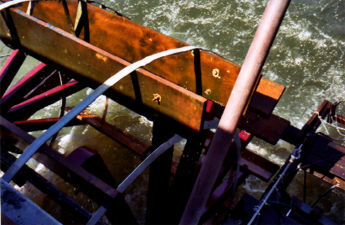 The double sternwheel has 32 buckets that dip two feet into the water. A 425 HP Cummins diesel turns the wheel at 16 R.P.M.